J&Y Shanghai Int'l Trading Co., Ltd. started in 2003 and received all relevant licenses for manufacturing and purchase from the Chinese government in 2004. At start date, doing business in China was already very familiar to the people starting J&Y, and the company positioned itself well with an important strategic advantage no other trading company could or wanted to offer. From the start the financial position of J&Y has been strong, and we were able to extend our warrantee terms and conditions to include that J&Y is liable and that we include transport costs in the agreements which we use for doing business in China. For sure a unique service offered to foreign companies doing business in China. It proved to be the strategic advantage which allowed J&Y to grow ever since 2003. Not get involved in business for which we do not have the expertise. In new business ventures, first aquire the nessecary expertise. For doing business in China, J&Y will not participate in any manufacturung company, which we use to export goods to our customers. Although J&Y will be open for participation with other companies to start new business verntures, J&Y Shanghai Int'l Trading Co., Ltd. will not be participated in. Doing long term business in China needs stability. The company was, and still is, registered in the Waigaoqiao Free Trade Zone in Shanghai China. Perfect for doing business in China. Being registered in the Free Trade Zone significantly simplifies administrative procedures and provides us with the best possible business network in the central part of China. However being located at the coast and far away from the inland factories we settled our business head quarter in Suzhou, Jiangsu Province. In Suzhou our engineering and purchase staff have their home base. In Suzou, manufacturing is a very important industry, providing high quality goods. 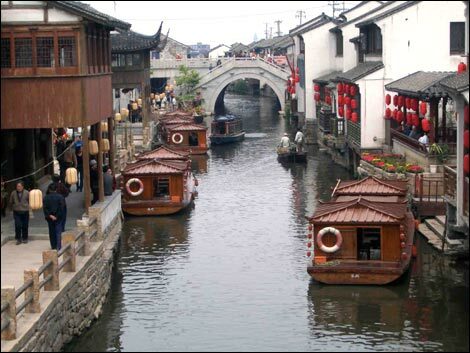 Suzhou is reponsible for approximately 10% of the export value from China. Now, located in Suzhou, in the center of the most powerful economic zone in China, we are a professional, one-stop business portal to the huge Chinese marketplace. With a mix of European and Chinese management, we have the ability and expertise to effectively communicate both inside and outside of China. In 2013, in-house 16 engineers, several purchasers, and sales persons. We provide sourcing and manufacturing services to major European and American manufacturing companies. We visit our customers at least one time every 1-1,5 year and encourage our customers to visit China to meet our technical staff and to take a look at the manufacturing companies the receive goods from. And to enjoy eating the food, and taking a look around. Most important is that we aim for long term cooperation. Your interests are as important to us as for you. We protect your IPR, deliver quality goods and services and are continuously looking for way to improve and extend our cooperation. J&Y employs experienced engineers who have usually been working for Japanese, Korean or Western manufacturing companies. Well educated, well trained and motivated to job the job as good as possible. Our purchasers are professionals, finding the perfect balance between the price and quality. Experience has been build in the refrigeration industry, automotive, chemistry and shipbuilding. The company is 100% independent and ever since 2004 profitable. Also 2012 has been profitable. 98% of our transferred product volume has been ordered directly at J&Y, which we have been able to finance ourselves. At the start of 2013 there are no ongoing warrantee issues. The total amount involved in 2012 in warrantee has been reduced compared to 2011, with a turnover which is at a record high. J&Y has a credit account with HSBC Bank in Shanghai suitable to pre-finance order, but this has not been used in 2012. The expected turnover and profit development for 2013 is positive.